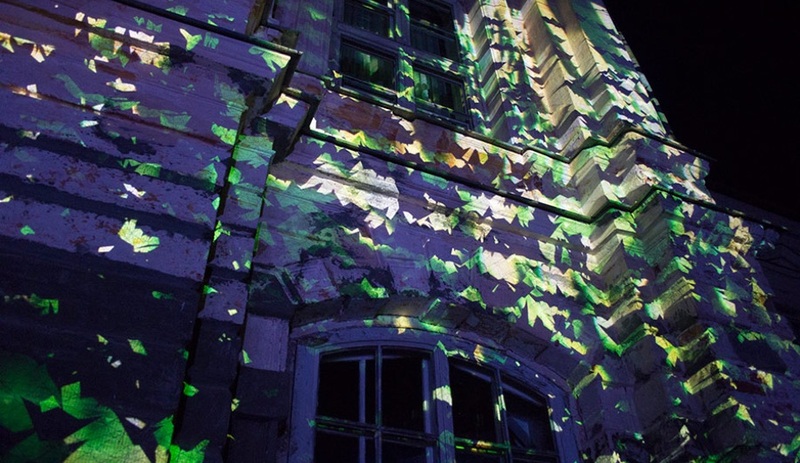 Zaļenieki Manor – erected in Zemgale, Latvia, in 1775 – is imposing enough all on its own: an austere mansion that melds Classical stone columns and heavy pediments with such Late Baroque touches as a resolutely projecting entrance and hallways replete with ancient frescoes. 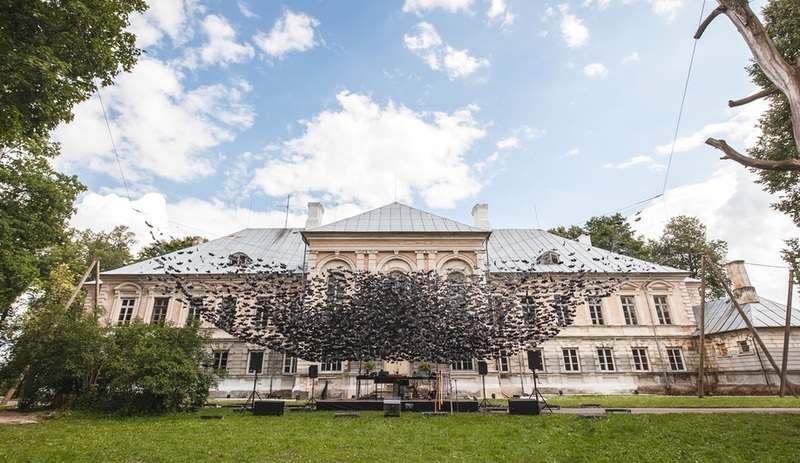 Last July, this dramatic setting was made eerier still – at least for a few nights – by Didzis Jaunzems Architecture of Riga, Latvia, thanks to a swirling tornado of some 10,000 bats. 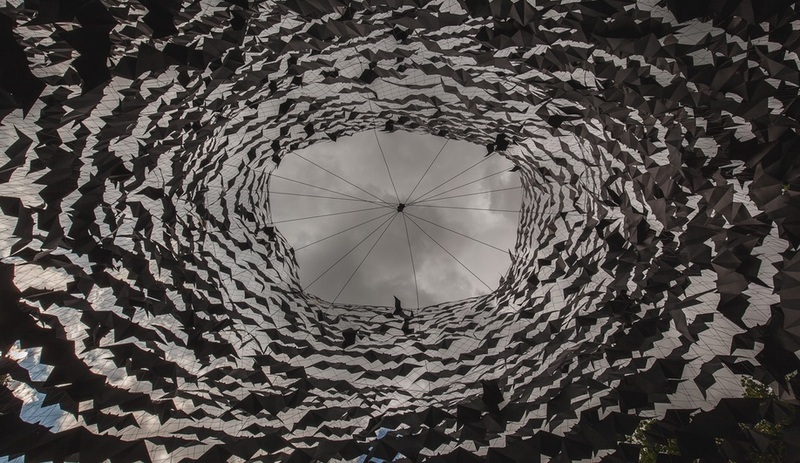 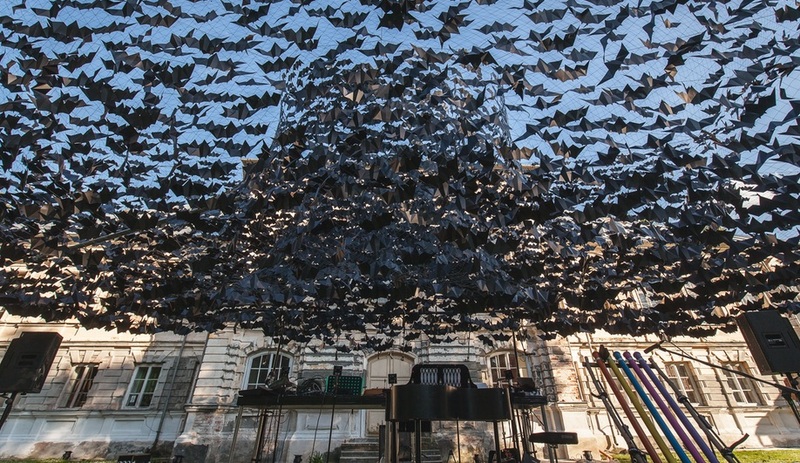 Suspended above a low stage on the manor grounds, the folded paper bats were affixed to a 1,000-square-metre canopy of netting, supported by columns on three corners. 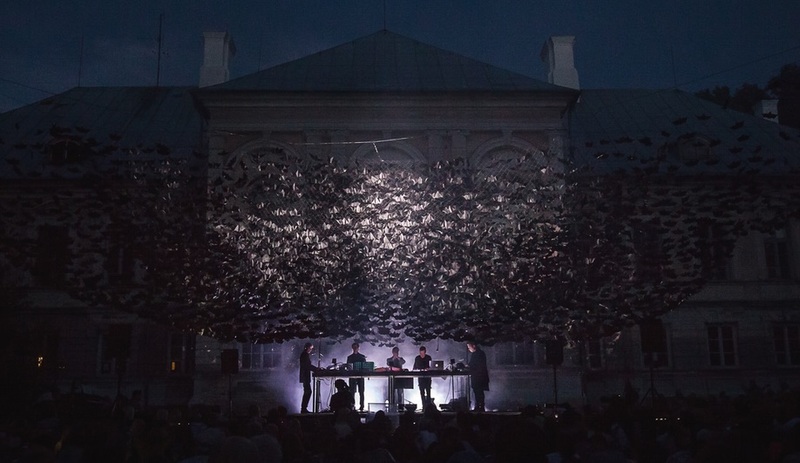 The installation was not just a work of art; it was also the centrepiece of 2016’s Nature Concert Hall, an annual festival launched in 2005, which pops up in a different location in Latvia each summer to teach families about the importance of conservation. 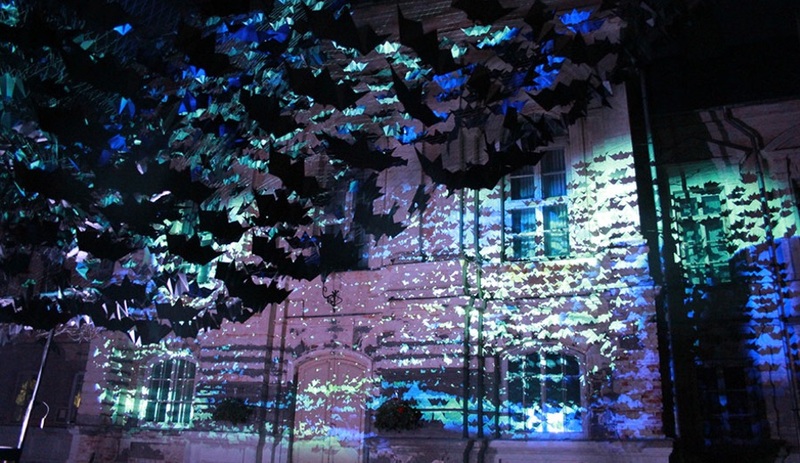 The star of this year’s festival was Plecotus auritus, the brown long-eared bat. 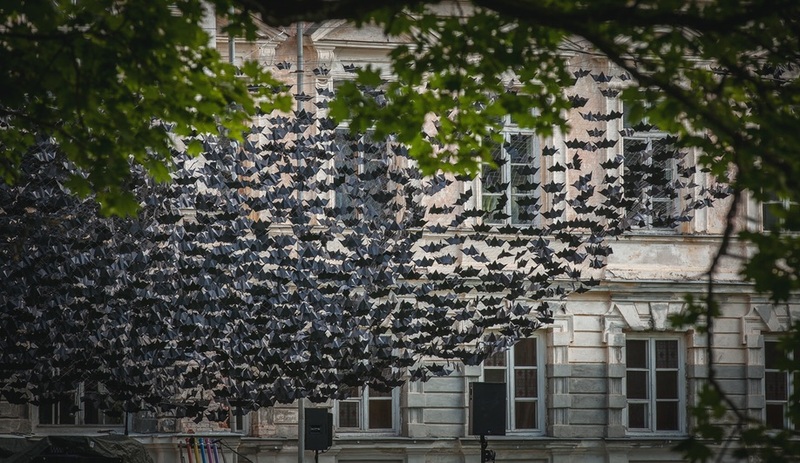 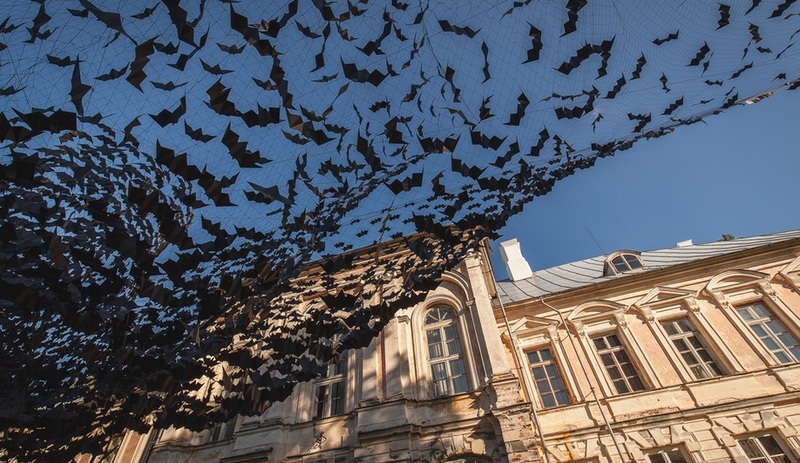 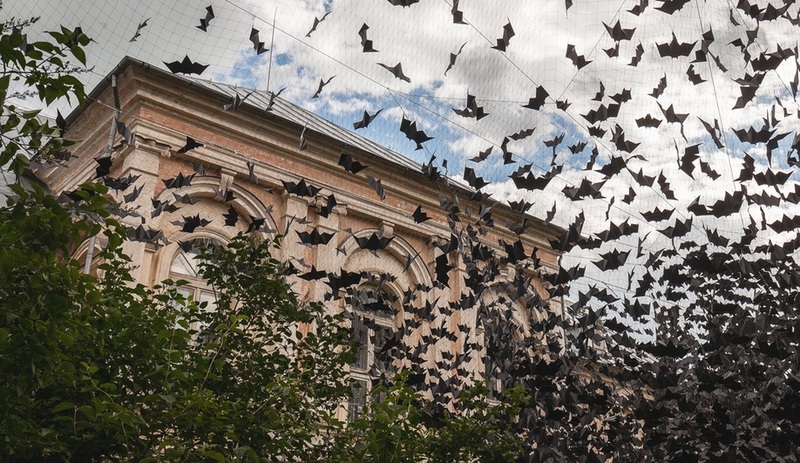 Following an appearance in Lūznava, Latvia, earlier in the summer, Didzis Jaunzems’ bats were relocated to Zemgale to preside over a range of activities that culminated in an after-dark performance; as the musicians performed, lights projected through the swarm amplified its numbers, casting dark shadows onto the manor’s facade. 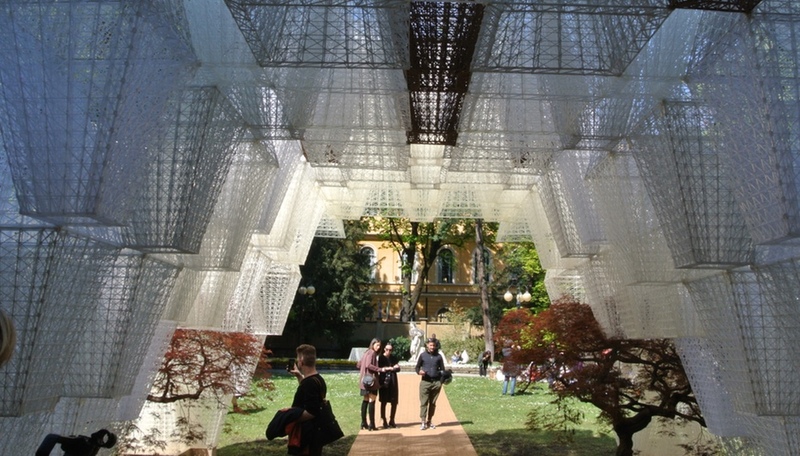 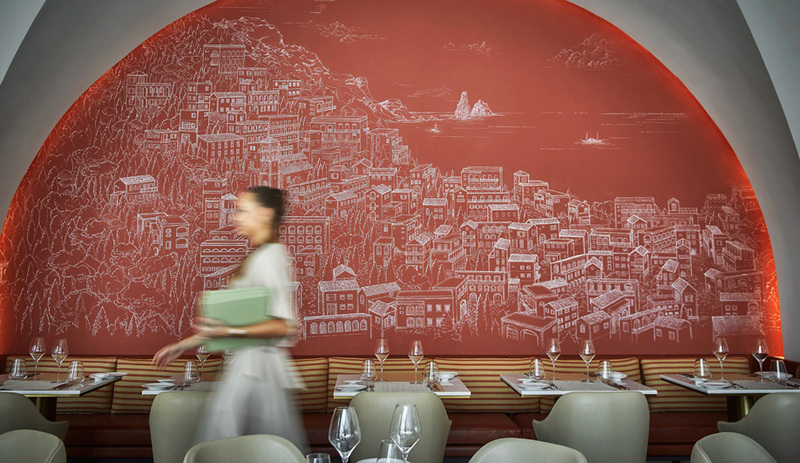 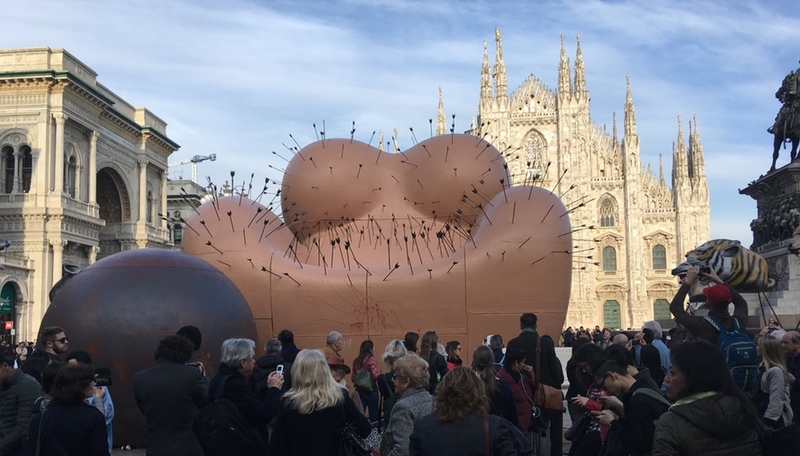 Didzis Jaunzems boasts a portfolio full of strikingly sculptural installations and pavilions. 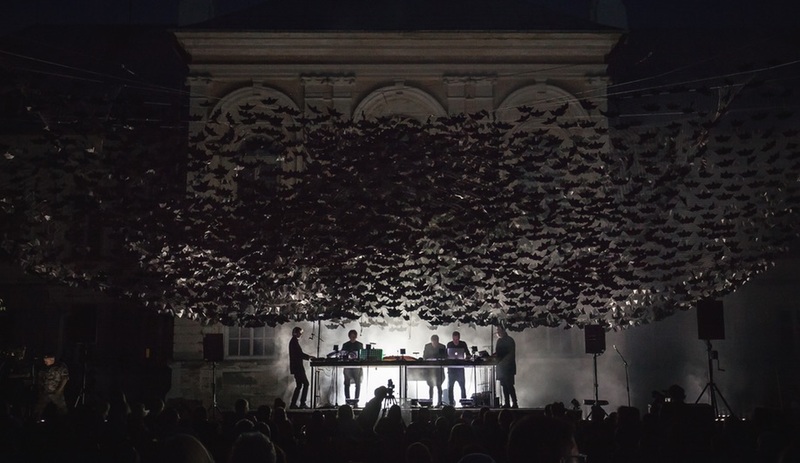 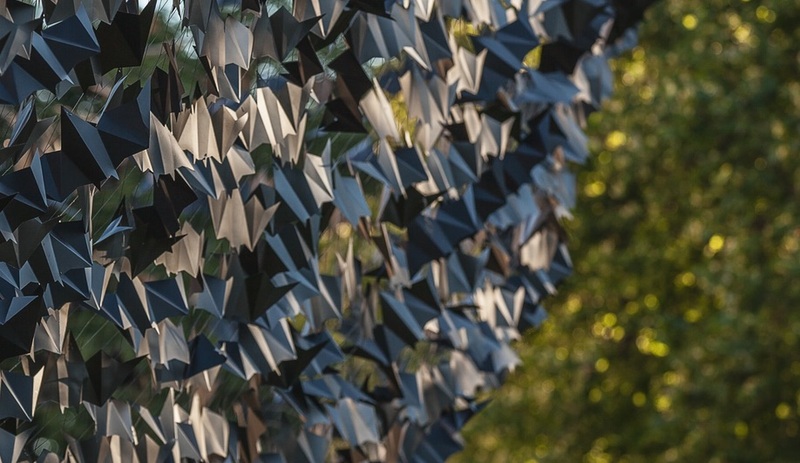 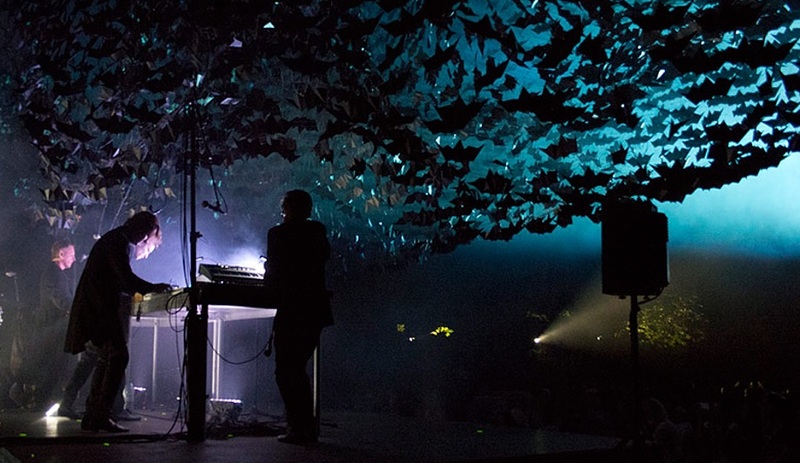 In fact, the canopy of bats is not the firm’s first time building an installation for Nature Concert Hall: in 2014, the architects erected a prism-like pavilion in a meadow, with angular walls made from vertical strips of white fabric, onto which scenes of nature were projected after sundown.